Virginia will choose its next governor in less than two weeks. On the surface, the dynamics of the race seem pretty favorable for Democrats. The state is doing very well economically under Democratic Gov. Terry McAuliffe, who is term-limited, and President Donald Trump is extremely unpopular. The Democratic nominee is McAuliffe’s second-in-command, Lt. Gov. Ralph Northam. And the president’s party tends to do poorly in the first midterm and off-year elections. 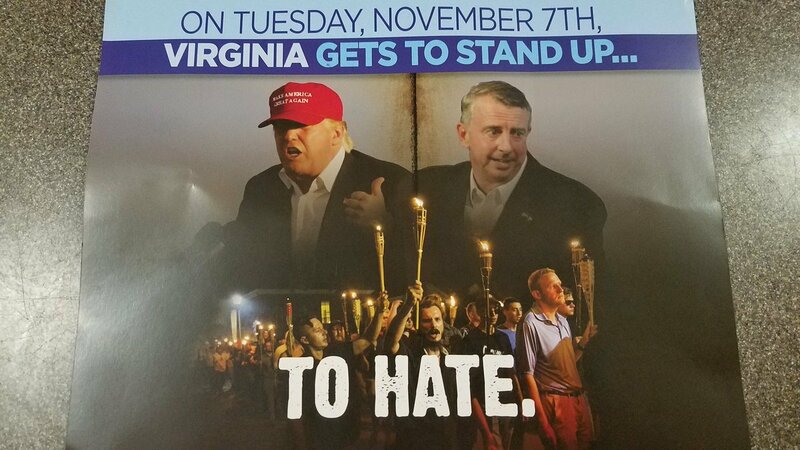 So Republican gubernatorial nominee Ed Gillespie has tried something different. Instead of awkwardly triangulating between his president and the opposition in any substantive way, he has simply adopted Trump’s campaign wholesale—by connecting Northam to a Latino gang, MS-13, and appealing desperately to white nationalists in the campaign’s final stretch. “Ralph Northam will take our statues down,” the narrator says in the latest ad. “Ed Gillespie will preserve them.” Then Gillespie comes on. Gillespie is from New Jersey. Trump is from Queens. If the Confederacy had had this kind of support up North during the Civil War, we might be living in a much different world.